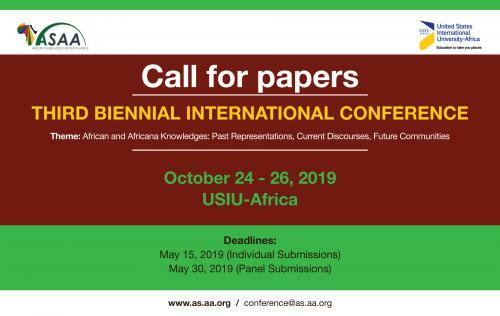 The Academic Research Office has provided these guidelines for the purpose of enhancing a systematic research agenda at the United States International University (Africa) as well as stimulating research activities through the use of University Research Centers (URC). It is the goal of these guidelines that USIU strives to leverage its multi-accreditation along with student and faculty diversity to cultivate an interdisciplinary culture of research and scholarship. Through interdepartmental, interschool, and inter-institutional collaboration, our overall research agenda through the URC will be able to cultivate an interdisciplinary culture. Therefore, these guidelines are intended to provide a broad, flexible set of ideas aimed at moving toward an overarching interdisciplinary vision that will enhance the University's value to our students, faculty, staff, the community and society. Working under the oversight of the Academic Research Center, and in collaboration with the University Council’s Academic Research Committee (ARC), the URCs will play an important role in broadening the knowledge base which leads to new discoveries and which informs new policies that ensure discoveries are incorporated into society in a productive and beneficial manner. These same centers also, and simultaneously, will play an important role in educating and training the next generation of innovators, upon whom the quality of the ideas that will cultivate and shape the world of tomorrow depends. 2) Sustainable Development Initiative Center (SUDIC) located in the School of Humanities and Social Sciences. 3) documenting performance of a URC. The general guidelines for establishing new URCs should not only be based on relevant features but also it’s positioning of the university’s image. Is their focal area critically important to the success of the University? Is it potentially transforming; will it allow us to become the leading program among peer institutions? Can it successfully raise funds to support itself? Can it draw new kinds of exceptionally talented faculty and students? Will it lead to new curricular development? Will it strengthen the USIU-Africa mission?" Will it influence others beyond those participating in the initiative itself? Will it make an impact on the outside world? A sample of suggested measurement units along with respective performance indicators are outlined below for the URC’s consideration. a) Faculty Performance: Some of the indicators to be considered here would include; the number of Center publications, index of quality/impact by citations of Center publications, acquisitions of intellectual properties such as patents, licenses, start-ups etc, number of Center faculty who are members of the national academies or comparable bodies, number of Center faculty awards from professional societies and other Center faculty honors/recognitions. b) Funding Performance: Pertinent indicators may include the number of externally funded research awards administered by the Center, total Center award activity (including awards to Center-affiliated faculty), research funded by University or Center funds, research expenditures, research proposals submitted, diversity of funding sources, amount of discretionary funds and support for students/fellows (graduate or undergraduate). c) Collaborative Performance: Relevant data should cover internal performance such as departments/schools represented by faculty involved in collaborative research, external partnerships such as academic institutions, industrial partners, national laboratories, other external entities involved in collaborative Center research including industrial/external relations programs such as educational outreach programs and service to society and the number of shared research facilities and intellectual property. d) Educational Activities: These should include the number of training programs, and other educational programs including symposia and colloquia for internal and external audiences. In general, the URCs should maintain up-to-date information on similar Centers and related major initiatives at peer institutions as benchmarks against which to measure their achievements and status. a) Changes from prior year. An assessment of changes from the prior year in the Center's status with regard to the basic characteristics of a successful University Research Center as outlined above. b) Progress. This constitutes a summary of progress toward the objectives cited in the prior year's annual report. a) Publications. A listing of publications that are a part of the Center's programs. b) Awards and proposals. A summary of the Center's research awards and proposals (these data can be provided by the Office of Research and Program Development, Institutional Research or similar other offices in the University). As pointed out earlier, these guidelines are intended to provide a broad, flexible set of ideas aimed at moving toward an overarching interdisciplinary vision that will enhance the University's value to our students, faculty, staff, the community and society. Thus, working under the oversight of the Academic Research Center office, and in collaboration with the University Council’s Academic Research Committee (ARC), the URCs will play an important role in broadening the knowledge base which leads to new discoveries and which informs new policies that ensure discoveries are incorporated into society in a productive and beneficial manner. We believe that through interdepartmental, interschool, and inter-institutional collaboration, our overall research agenda through the URC, will be able to cultivate a strong interdisciplinary and collaborative research culture that would make USIU-Africa a relevant local, national and global partner in the generation of new ideas. a) Core Business. The Center should have an identifiable core set of activities (core business) which exhibits stability and appropriate growth and which are continually revitalized. b) Project Funding. The Center should heavily rely on externally funded research, especially for large projects or training grants, and internally funded research for smaller projects or typically to seed new initiatives. c) Community Engagement: The Center should build an industrial/external relations program through which Center members are brought into active contact with industry and other external organizations. It should aim at serving the local, national, regional and international communities. Ultimately, the Center should strive towards engagement of or engagement with a research park concept. d) Educational Support: The Center must support master’s students and post graduate fellows through their participation in research, training grants and other sources of funding. It should also provide research opportunities and programs for undergraduate students; and organize symposia and colloquia delivered to internal and external (public) audiences. e) Programs Leverage. The Center should be able to leverage successful programs. This can occur when research results are quickly integrated into education, training and practitioner programs, or industrial relations programs such as a Research Park used to generate discretionary funds for internally seeded projects. f) Adaptive Ability. The Center should be able to adapt to its internal and external environments. It should also have the leadership and resources to capitalize on new research opportunities and to respond to critical technology needs of the nation and the economy. To achieve the above objectives, the URC must purposely organize its operational structure strategically through a strong leadership system, an entrepreneurial approach and a collaborative spirit. a) Leadership. The URC should be visionary and entrepreneurial and show leadership by successfully achieving strong collaborations and funding. The Center should have a board or team of external and/or internal advisors to provide strategic guidance and oversight. Its coordinator should actively seek out advisory board members who can and will provide guidance and oversight to the Center. b) Entrepreneurial Approach. The Center should be able to attract and retain entrepreneurial researchers, including staff members and student interns who are heavily supported by Center funds generated from grants. c) Collaborative Spirit. 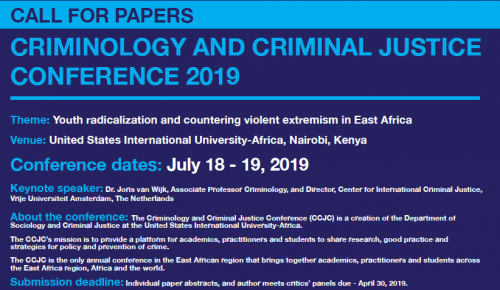 To achieve its research objectives, the Center should promote strong collaborations among members, with other USIU-Africa units, and with other academic institutions, industry, the community, and government. Internally, a URC should have significant faculty involvement in each of its various programs. The disciplinary diversity of faculty is as important as the number. The Center should also be interdisciplinary drawing researchers from multiple disciplines, programs, and schools. Thus, there should be active collaboration, and not just mutual coexistence, in the execution of the Center's programs. Besides the human capital, another key resource for ensuring a sustained research center is its financial resources that need to be managed strategically, including diversity of funding sources, ability to cover fixed costs and availability of discretionary funds. a) Broad funding sources. A Center should not depend on any single program area or individual funding source. A portfolio of funds minimizes risk and enables a Center to survive loss of any single funding source. b) Cover fixed costs. The Center should be able to generate sufficient revenues to cover its fixed costs, largely internal staff and critical operating expenses. c) Availability of discretionary funds. If the Center has discretionary resources, it can invest in new initiatives (seed grant projects) to keep current programs contemporary or develop new programs. Discretionary resources may be derived from university allocations, from "surpluses" generated by on-going programs, or from other internal or external sources.